Before the onset of schizophrenia I had already suffered and struggled with the damaging effects of physical, mental, emotional and sexual abuse by the hands of my own mother. She was a victim of the same abuses and because of her inability to confront her own horrific childhood I became as her, broken. I was forced into a world of violence, enmeshed into her tragic world and a sense of separateness did not take place. There was no possibility of developing an identity of my own. A healthy bond between parent and child never did develop because of my mother’s emotional instability and immaturity and unavailability. She suffered from her own psychosis and was prone to fits of rage, which left me confused, terrified and alone. 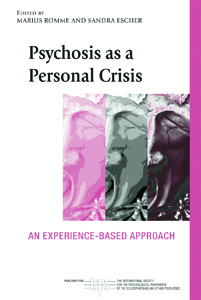 The process of detaching from the real world began at an early age as a coping mechanism but it was not until the age of nine that schizophrenia was truly born. It was not the actual abuse that caused me to retreat into the world of schizophrenia but these factors played an important role in pushing me over the edge. Schizophrenia came about suddenly after being confronted with the disturbing realization that I was used, deceived and manipulated into performing a lewd sexual act with a cunning psychopath, and then discarded like yesterday’s trash. I was a mere object of someone else’s perversions; it was a man my mother was seeing. He weaved his way into my life by using my mother and when these two joined forces there wasn’t a hope in hell for me. Though not an expert on psychopathology I have read enough material on psychopaths to recognise the characteristics and traits to come to the conclusion that they both were. The act it self was premeditated, and carefully orchestrated against my will. That one incident changed my whole thought process. It had scared the hell out of me. Before that incident I was led to believe that that man was there to protect me from my mother. That night so many years ago, at the age of nine that man raped me and my mother participated. The realization that he was not there to protect me from my mother and coupled with the fact that my mother was a willing partner in the crime caused my schizophrenia. The terror I felt at that moment and realizing their true intentions was truly paralyzing. I was consumed by evil with no way out. The terror I felt never left me and I became obsessed with the belief that the world was evil and so were people with cruel intentions to do me harm. Within twenty-four hours of that incident schizophrenia automatically boxed all memories of any abuse endured before or after the break in reality within my subconscious. The world I lived in was now filled with hallucinations, voices and depression. The symptoms of schizophrenia masked the truth that I could not confront. After all, wasn’t the world of schizophrenia a much better place to live in? As terrifying as it was it provided me a safe haven away from the abuse and that disturbing realization. The hallucinations masked the things I refused to see. I did not see my perpetrators but strange looking people dressed up in funny costumes and they’d appear everywhere. In their hands they carried knives to harm me, which represented how threatened I felt. Of course they were just a figment of my imagination, but all so real to me. 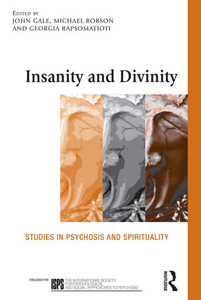 There was no discerning between reality and fiction in the world of schizophrenia. Within each hallucination there were clues to my perpetrators identities, yet my mind protected me from that truth. Anyone who dared to get close, including teachers and other children their faces would mysteriously change into wolves, which triggered off an automatic need to run and hide. During the whole process of schizophrenia I spent my time running and hiding truly terrified of people. I desperately sought to not exist, and deny the things I refused to see. Schizophrenia provided the perfect escape. The voices masked the things I refused to hear. I did not hear my perpetrators voices as they manipulated and forced me into their perverted world. The nagging voices taunted me, played with my mind just as they did. They were a constant reminder of how worthless I was. Within each voice there were clues to my perpetrators threats and bribes. My mind protected me from ever hearing them again. The depression masked the deep sadness and hopelessness I could not feel. Like a veil of denial schizophrenia masked my whole existence to allow me to survive. Each symptom masked the truth and hid my feelings; the ones I refused to feel. Schizophrenia sole purpose was to protect me from the truth in order to survive what most people can’t. The onset of schizophrenia was swift much like when you watch a leaf fall from a tree. It still amazes me to this day how fast the transformation from broken child to schizophrenic child took place. From that day forward, I bounced back and forth from a world of terror and fantasy. I was reduced to an animal state of existence and that was when I embarked on a long agonizing journey to find my missing self. And what a journey it would become! In my mind I could become anyone or anything I chose to be. One day I would be the chosen one, the next day I would be a magician with the ability to control things, anything to avoid confronting the fact that I was a worthless human being that loathed my existence. After all I had been reduced to nothing…my need to disappear from the ever-present terror I experienced on a daily basis persisted to haunt me. Anything in the real world was evil, anything outside my world could not be trusted and I protected my new world with a vengeance-- No one was getting close enough to penetrate my world, the real one that held the cause of my breakdown. Though I had completely shut out the real world there was still the core of my being that was intact and healthy. That part of me struggled to find a way out. I was determined to survive. I never completely gave into schizophrenia. It never owned me. Without my knowledge I was seeking a place of safety and an opportunity to leave my schizophrenic world. A long sought out opportunity didn’t present its self until several years later. After the birth of my son, his presence jarred me awake from a 21 year-old dead sleep. Combine that with witnessing a child being molested and that was enough to awaken me. What drove me into my schizophrenia world was now going to drive me out of it. I would come out of it the same way I went into it by a disturbing realization. That is the- key- to recovery. Recovery began to emerge; vivid memories of abuse began to stir and surface. At first, just flashes, snapshots and insights that brought on the same terror I had felt during the onset of schizophrenia so many years ago. In the beginning I wasn’t sure what I was experiencing but somehow I found the inner strength and courage to explore and analyze what was occurring. I dug deep within myself and just let go of the outcome. At the same time I was so terrified of what I would find. I actually thought I was losing my mind but what I was experiencing was a breakthrough. Little did I know I would find myself? There I was to embark on a journey out of schizophrenia by the same disturbing realization that brought me into it. I was blown away by the fact that schizophrenia was such a remarkable illness and I was going through a huge personal transformation. The first month of recovery was so painful. My body actually shook. I felt the strain. Confronting what I had buried within my subconscious for all those years were both exhilarating and terrifying. As I confronted that disturbing realization the symptoms of schizophrenia disappeared and lost its power over me. To discover that I was alive brought about a great sadness. For all those years I had been reduced to a shell of an existence. I had been dehumanized in every sense of the word. The grieving process had begun. Not only did I have to grieve the loss of my childhood but also all the contributing factors that forced me into schizophrenia. It was hard work. At times I just wanted to die because the pain was so great. At times I wanted to retreat back into that terrifying world, yet safe one. At times I became so enraged because I had been cheated out of my life but that same rage fuelled me to carry on. I bounced back and forth from rage, sadness, and fear. I can honestly say that I was guided by intuition and not the know how in what I was doing. I had no reference books, no guidelines to what was to come next. I actually moved through recovery blindly but always with the hope of reaching my goals—freeing my mind, spirit and body from the hell of schizophrenia and helping that child whom was being molested and of course saving my son from a life I had known. With all my might I struggled to capture a glimpse into which I was. I was so damn curious, just as I was when I was seeking my missing self through mystical stories, astrology and religion. So far all I found was dead ends but now I was equipped to dwell a little deeper into my psyche. Things were becoming clearer. I broke through the denial. Memories and feelings surfaced so fast. Connecting the two was difficult. It was like I had to connect the unhealthy part of me with the healthy part. It was like I was divided and the two halves had to merge as one to find a balance and wholeness. That was the tricky part to recognize what feelings belonged to which memory and then find comfort exploring all those new and fresh feelings. I tried to pace myself during recovery but after years and years of suppressing feelings they just gushed out like a tidal wave. It was a terrible time for me. After a while though, I began to recognize a pattern in recovery—memory, feeling, memory, feeling and so forth. Though, the pain was great I began to gain confidence in myself that I could do it and I actually got very creative in my recovery. I began to set goals in just how much I would confront in one day. I started researching the affects of sexual abuse and trauma picking up little nuggets of info to further my recovery. My reading level was only at grade 3 so reading those books was hard on me. In the process I taught myself how to read and write. 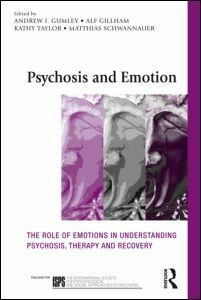 I could not find a book on recovery from schizophrenia and books about psychology were too clinical to grasp their meanings. I didn’t understand them at all. But then again the idea crossed my mind to not try to read them, due to the fact that they, possibly, would have led me in the wrong direction. I wanted to really heal and recover by my own experience. I wanted to do it alone. The most important part of recovery was done: dealing with the disturbing realization the second time around. Though recovery dragged on for a good three years during that time I made could strides towards a healthier life. In the process of recovery I left my entire family. I was not that sick person I used to be and I no longer fit into the family system. For many years I was the centre of attention; everyone was so fixated on my sickness, I was no stranger to the blame game. I still recall many visits to the doctor with my mother and her complaining profusely that she was at her wits end in what to do with me. I received many lectures from others to stop driving my mother nuts. Isn’t that ironic? Besides, if I had any way of protesting my mother’s accusations who was to believe me? She held a good job at the time, my stepfather was educated, we lived in a nice house, we went on family vacations together, and to outsiders we were just a normal family. My parents were so convincing in deceiving school officials and the social workers that had any contact with us. In many ways schizophrenia was the perfect alibi for my parents; nothing remembered, no evidence. Schizophrenia not only protected me but my family too. I am not going to lie; recovery was excruciating painful. The obstacles I have had to overcome are nothing short of a miracle, yet not one. I made the right choices at the right time. With sheer determination I struggled blindly through schizophrenia and recovery. I wasn’t willing to conform to others ideologies and the stubborn belief that I was a hopeless case. I never did give in. I have been told that mental health professionals are now focusing on recovery and rehabilitation. I have read the new mandate for treatment and in my eyes it is not good enough. Medication seems to be the main focus and I never used medications so that shows a huge error in treatment. I have visited many low-incoming housing buildings and people with schizophrenia seem to be warehoused and forced to take medications for the rest of their lives. In my eyes that is not good enough. The only help they seem to be receiving is a place to live, a monthly visit to the psychiatrist and home support The mere suggestion that they are acting out they are sent to the hospital and over-medicated to reduce symptoms. What kind of treatment is that? I believe that my own efforts with recovery from schizophrenia should influence a change, as so other survivor stories. I believe that mental health professionals and families alike should band together and create that change. I believe a lot of things should be done but I am only one voice. I am waiting for that change. I am waiting for mental health professionals to admit to their mistakes and change their attitudes. I hope it comes soon because I have a need for change. I need that change to put closure on my own experience with schizophrenia. Until more of us get to tell our stories I will never truly feel at peace. As a survivor looking into the dismay of the mental health system I often wonder who in the right mind would deny people with schizophrenia the opportunity to reach a partial or full recovery. 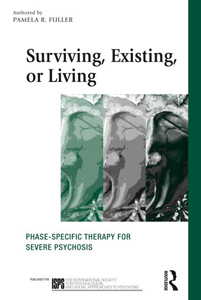 As I said before and will say again and again about Jack Rosberg’s work, “Others should follow his lead and learn by his example.” He is not only a man with great insight into the world of schizophrenia but one with determination and dedication in creating change. He most definitely knows his stuff! Thanks Jack for allowing me the opportunity to write about my experiences with schizophrenia and recovery.